The ChillaVino Wine Chiller is a 4 in 1 product that includes a chilling stick, aerator, pourer, and a stopper. It all comes in a neat little storage case that I use to store the pieces between uses. I prefer to drink my wine chilled, and if it is not already chilled in the refrigerator, I add a cube of ice to my glass. I know I know - "Red wine isn't supposed to be chilled." But hey, I like to break the rules once in awhile. Unfortunately, adding ice to the glass waters down the wine which isn't the most pleasant effect. And storing wine in the fridge isn't exactly ideal. So I was really excited to try the ChillaVino. Basically you put the chilling stick in the freezer and when you're ready to open a new bottle of wine, twist the stick onto the aerator/pourer to create the chilling stick. Now -- don't forget to pour a bit of wine out first before you insert the chilling stick, or else you will cause a wine volcano like I did the first time! So remember to follow the instructions and make room for the chilling stick before inserting it. Once the chilling stick is inserted, leave the bottle sit for at least 5 minutes. This does cool down the wine a bit, however, leaving it longer chills it more. I will say that if you're looking for cold wine, this would be better for keeping already-cold wine chilled while it's sitting out. But don't expect this chilling stick to do all the work and make your wine ice-cold. It's just a chilling stick and it does do the job it's meant for. I love that this also comes with the additional accessories. 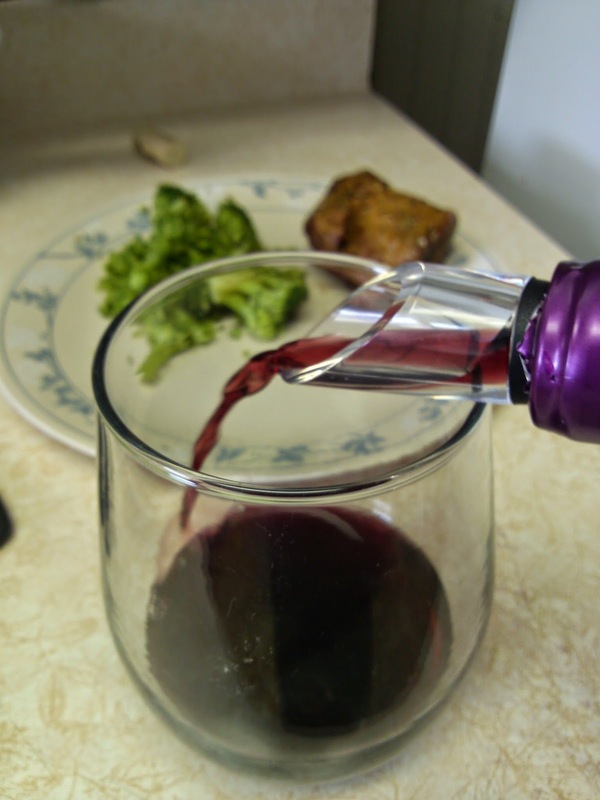 The aerator helps the wine to breathe and get a fuller flavor and aroma. 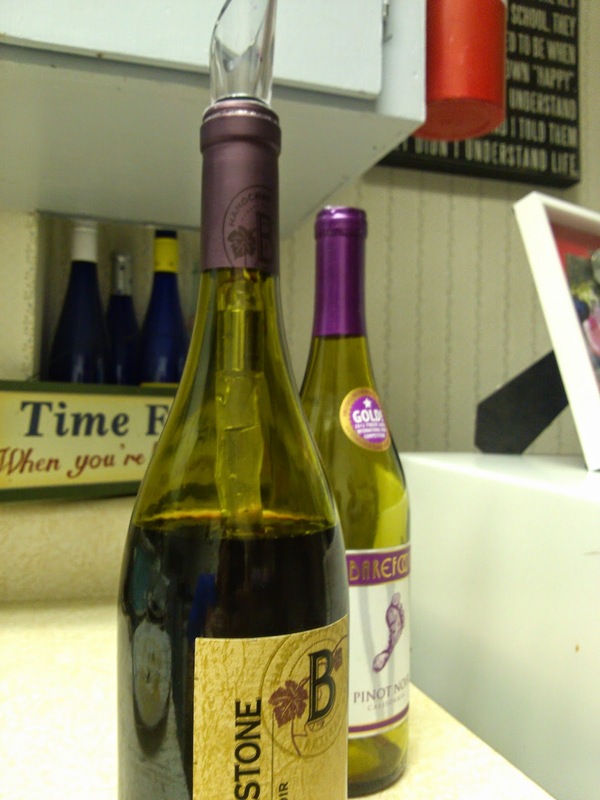 The pourer is dripless and helps to pour a nice glass of wine, and the stopper is really useful for storing leftover wine. 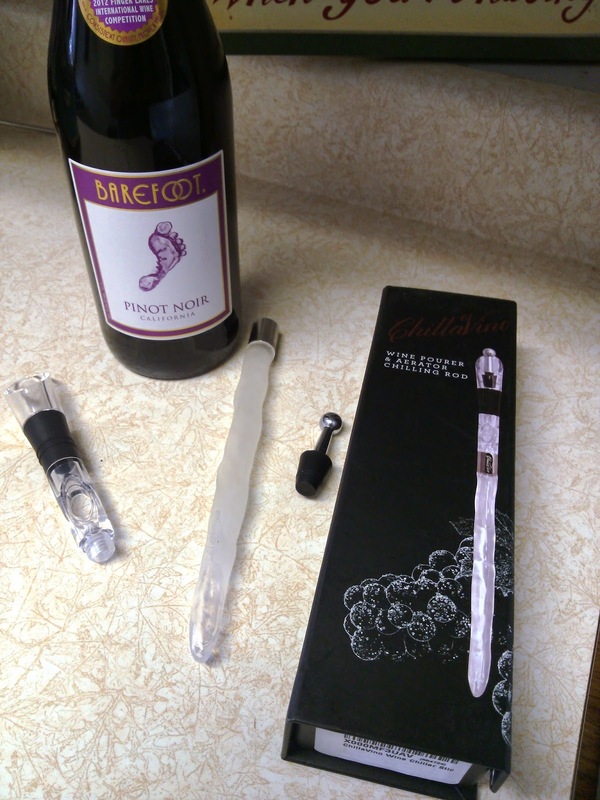 These can be used without the chiller stick too, so this really a multi-purpose set of wine accessories. 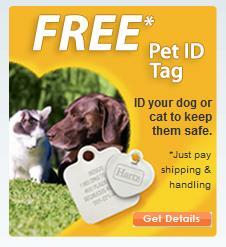 Each piece is easy to clean; I hand wash them, but the product does state that its dishwasher-safe. The ChillaVino fits in most wine bottles, however I did find one bottle that was too big for it - From the Door County winery, and it was a slightly different sized bottle than normal wines. Thankfully, we were outside on the patio when this occurred and the pourer fell out mid-pour, so no harm no foul. I would just recommend making sure that the ChillaVino fits snug into the bottle to ensure that this won't happen to you.